Mongoose Run offers seclusion and privacy that will give you time to relax and get in touch with your family and friends. A modern building with distinctive island touches, you’ll love the high vaulted ceilings and the splashes of color that give rooms a festive touch. You can spend your days relaxing around the pool with a good book or your iPod, or head into town for some duty-free shopping, golf, or tennis. However you decide to spend your days, be sure to return in time to enjoy the sunset. Grab some wine and head out to the covered terrace or stretch out by the pool and watch Mother Nature show off. High up on the “Falaise des oiseaux,” in the residential area of Terres Basses, Mongoose Run is a 3-bedroom villa with views of Bay Rouge, the coastline of St. Martin, and the neighboring island of Anguilla. Set in a garden, this villa has a plunge pool and terrace, rooftop sundeck and flowered courtyard. The fully equipped kitchen leads into a living/dining area equipped with stereo, satellite TV, and VCR. All 3 bedrooms have king-size beds and en-suite bathrooms. 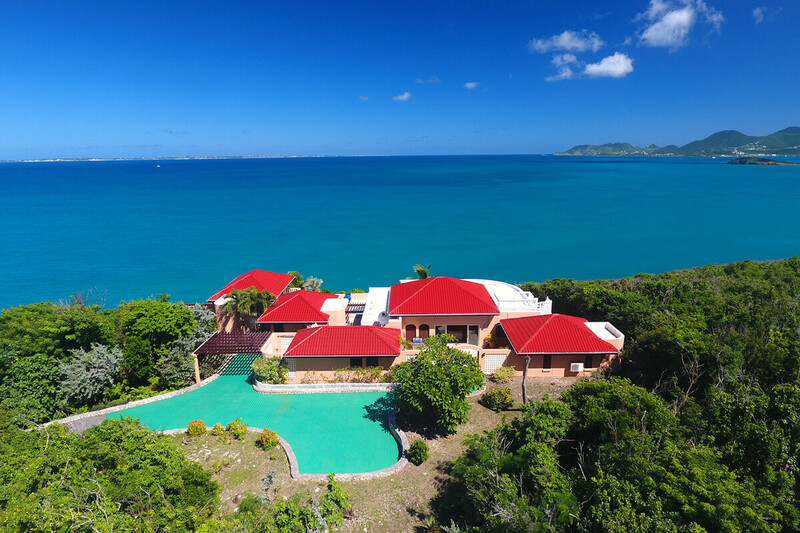 Peaceful and secluded, this villa is only minutes away from St. Martin’s most beautiful beaches: Plum Bay, Bay Longue, and Bay Rouge. It only takes 15 minutes to walk to the nearest beach, Plum Bay. There is also good snorkeling at this beach. Mongoose Run is a short drive from Plum Bay and Bay Long, and it has excellent views of Anguilla and the ocean. The villa is well-stocked and has an excellent housekeeper who was extremely flexible and scheduled her cleaning around our wishes. We visited in early December and had great weather. The only negative aspect was the pool temperature - it was much cooler than the ocean and was unusable for us. This might be different in other months, though. We had a good experience working with Andrew.